Once again we are very pleased to announce a new tour that we now can offer. This time we are combining an early morning visit to Montserrat Mountain and Monastery with a visit to the world famous Codorniu Cava Winery. 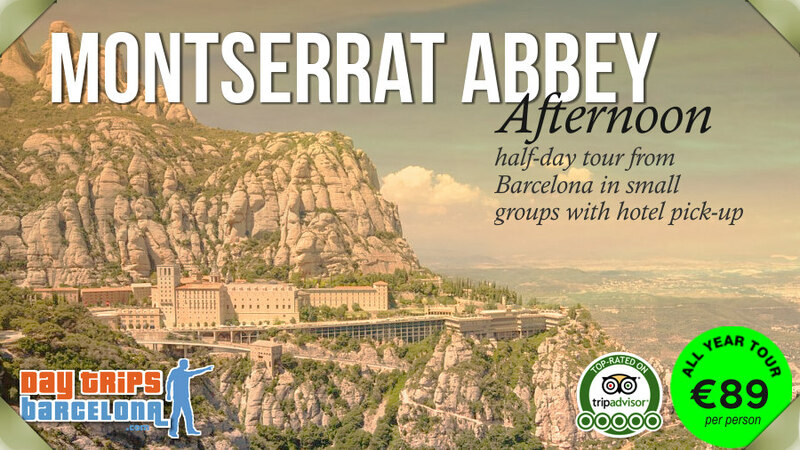 This tour has a very early pick-up at your hotel or apartment in Barcelona at 7AM – so you can enjoy visiting Montserrat Monastery before the crowds arrive and really appreciate why the monks have made this their home for a thousand years. 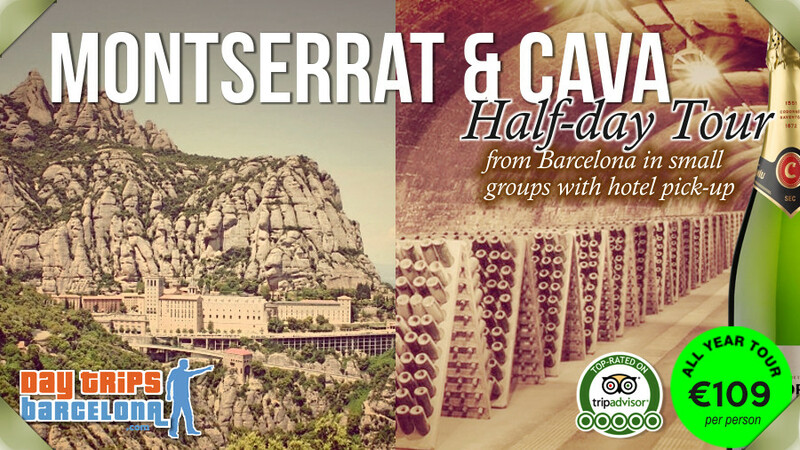 As the crowds start arriving we leave Montserrat and visit the world famous Cava Winery of the Codorniu family – one of the oldest family businesses in the world and featuring the longest man-made wine cellers in the world!. You can find much more information about this spectacular new tour on our tour website. This entry was posted in Day Tours Barcelona on August 2, 2018 by admin. The Barcelona F1 Formula One race is as usual three days of top high-speed action at this annual event at the Montmelo Circuit de Catalunya racetrack one hour north of Barcelona. Read more about this event and find links about how to get there by clicking the link below. 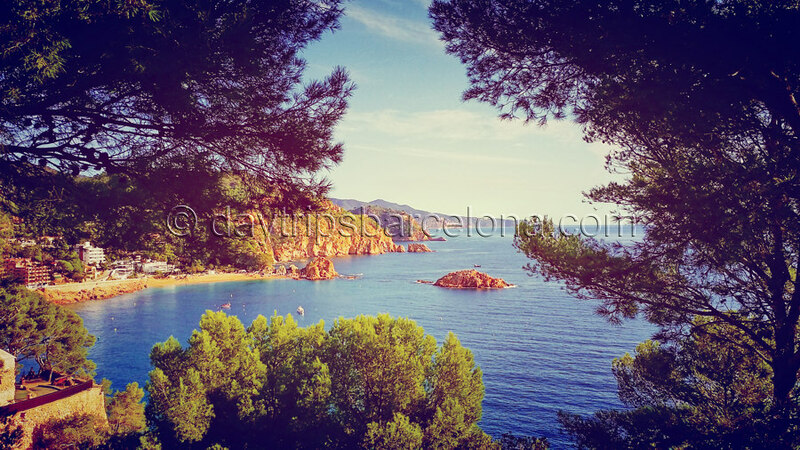 And while you are in Barcelona anyway, why not take a DayTripsBarcelona Tour? Our guides are very safe drivers – and we drive so slowly that you will have time to enjoy the views – and there is no need to wear earplugs due to the engine noise!! This entry was posted in Day Tours Barcelona on May 4, 2018 by admin. Hi everyone. We are very happy to announce that we now also offer a Montserrat afternoon tour. Many guests asked about this as an alternative when they were unable to be ready for the early morning pick-up time of 7.30 AM on our morning tour. This entry was posted in Day Tours Barcelona on April 29, 2018 by admin. Hi everyone. We invite you to visit our new gallery page of our own tour photos. 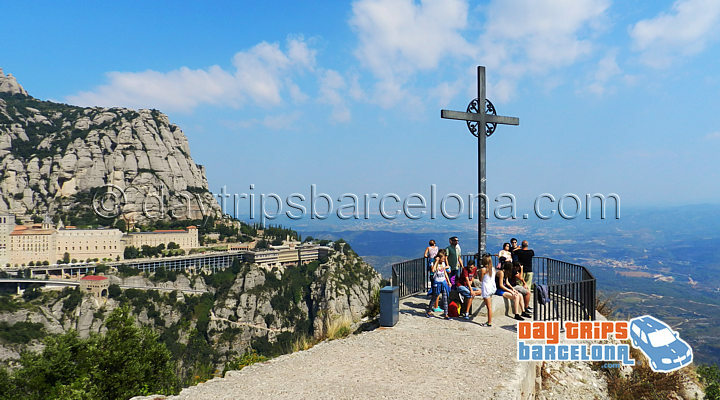 Theses are all photos taken by our guides on our most popular tours which are to Montserrat Abbey and Mountain, Girona, Tarragona, the Costa Brava and to the Penedes Wine region. From March 2018 we no longer offer tours to Andorra from Barcelona. This entry was posted in Day Tours Barcelona on April 1, 2018 by admin. Once again we are pleased to post our own tips on the best hotels in Barcelona. As we live in Barcelona, we get many requests for our own personal tips about the best new hotels in Barcelona and some of the favourite classic hotels. There are many excellent hotels to choose from in Barcelona, so it’s difficult for us to answer all these questions. 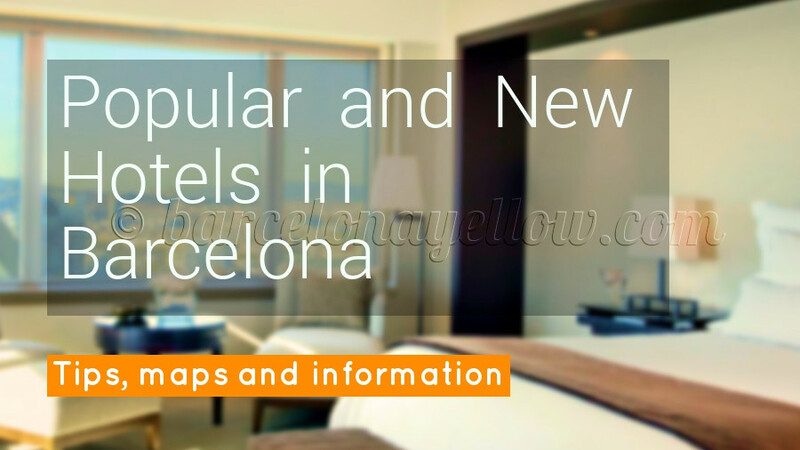 Please take a look at our partner Barcelonayellow.com who have an excellent updated webpage that lists the best hotels in Barcelona and has links to booking apartments and hotel rooms. And if you are planning a day trip while in Barcelona, please remember that DayTripsBarcelona offers personal hotel pick-ups and drop-offs for our small group Day Tours outside Barcelona. We do not pick-up at cruise ships however. This entry was posted in Barcelona Tips and tagged barcelona, what to do easter Barcelona on January 22, 2017 by admin. After a good snowfall in November 2016 Grandvalira in Andorra and many of the other ski resorts in the Catalan Pyrenees Mountains opened for the 2016 Spanish Inmaculada puente holiday from the 6th to 8th December. 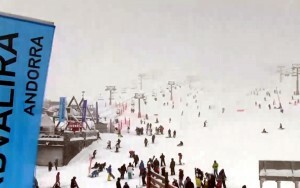 However, until last week the snow on most pistes had been mostly extra artificial snow. That has now changed with around 70 cm of new snow over just a few days, actually closing Andorra for a few days until the roads were cleared again. Looks like the Winter 2017 ski season is going to be very good. This entry was posted in Andorra Day Tours and tagged andorra, grandvalira, skiing, skiing near Barcelona on January 22, 2017 by admin. Easter is a moveable feast and falls very late in 2017. In 2017 Easter starts on Palm Sunday on Sunday 9th April 2017. There are parades and processions in Barcelona on Palm Sunday. 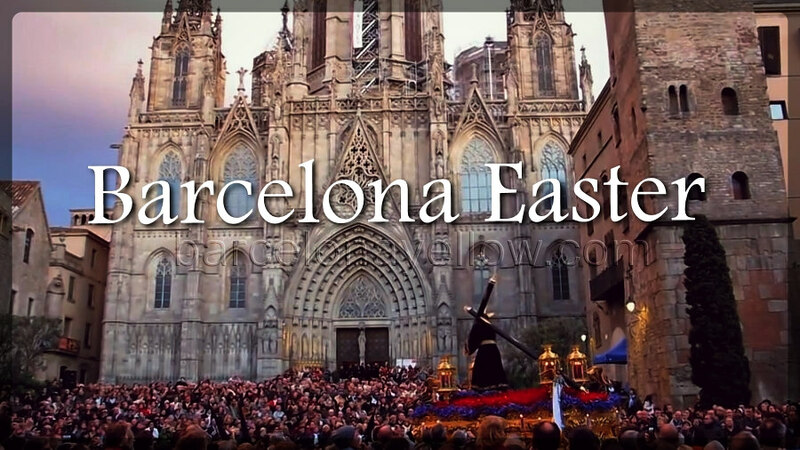 Most Easter parades are on Good Friday – called “Divendres Sant” in Catalan and “Viernes Santo” in Spanish. Good Friday in 2017 is on Friday 14th April 2017. Easter Sunday is 16th April 2017 and Easter 2017 ends on “Lunes de Pascua” Easter Monday on Monday 17th April 2017 and is also called “Diá de la mona de Pascua” which is Easter “mona” cake day. Good Friday and Easter Monday are public holidays so most shops in Barcelona are closed, but restuarants and museums are open. Small group tours Barcelona Easter 2017. This entry was posted in Barcelona Easter, Barcelona Tips, What to do in Barcelona and tagged barcelona easter, semana santa, what to do easter Barcelona on January 22, 2017 by admin. Did you buy an el Gordo lottery ticket this year. Actually you can buy a ticket from August onwards, but the lottery is drawn every year on 22nd December and called the Spanish Christmas Lottery or El Gordo, which means the Fatty – or the Fat One! If you have not already checked your ticket to see if you won – please use the link below to check your lottery numbers. The world’s biggest lottery with the most overall prize money is in Spain and called Lotería de Navidad or El Gordo! El Gordo is actually the name of the first prize winning ticket. The total prize money is around 2,2 billion euros, which is spread around many ticket numbers. El Gordo is the first prize and wins 640 million euro spread over 160 tickets with the winning number. It’s quite complicated but you can read more on the links below. Bona Sort. Good Luck. Buena Suerte! 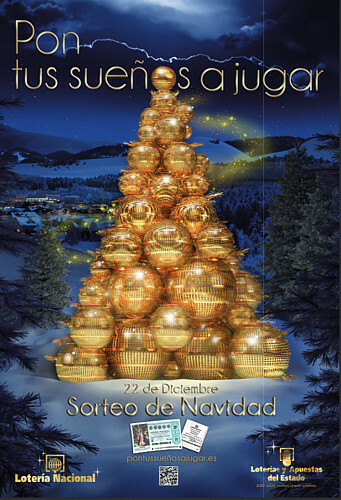 > Guide to El Gordo Spanish Christmas lottery. If you are visiting Barcelona, then DayTripsBarcelona offers tours all winter to lovely destinations near Barcelona including our popular winter road trips!! Tours from Barcelona to France, Andorra and the Pyrenees mountains. This entry was posted in Barcelona Tips, What to do in Barcelona and tagged christmas, el gordo, fat one, fatty, lottery, spanish, worlds biggest lottery payout on January 22, 2017 by admin. What to do in Barcelona at Christmas? Buy an el Gordo lottery ticket. Actually you can buy a ticket from August onwards, but the lottery is drawn every year on 22nd December and called the Spanish Christmas Lottery or El Gordo. to win the world’s biggest lottery called Lotería de Navidad 2015 or often just called by its nickname “El Gordo” which means the Fatty – or the Fat One! Remember DayTripsBarcelona offers tours all winter to lovely destinations near Barcelona including our popular winter road trip Tours from Barcelona to France, Andorra and the Pyrenees mountains. This entry was posted in Barcelona Tips, What to do in Barcelona and tagged christmas, el gordo, fat one, fatty, lottery, spanish, worlds biggest lottery payout on December 19, 2015 by admin. After very warm weather in November 2015 Grandvalira in Andorra and many of the other ski resorts in the Catalan Pyrenees Mountains opened for the 2015 Spanish Inmaculada puente holiday from the 6th to 8th December. This entry was posted in Andorra Day Tours and tagged andorra, grandvalira, skiing, skiing near Barcelona on December 7, 2015 by admin.